It is not very often you get to watch a story about China and get to see the inside of their world, but with Sky Ladder it is possible. Sky Ladder- The Art of Cai Guo-Qiang is the passionate documentary by Director Kevin Macdonald about the real life and challenge of world renowned fireworks artist Cai Guo-Qiang. Kevin is famous for his film starring Forest Whittaker in the Last King of Scotland and is currently known to be filming the life story of late Whitney Houston. 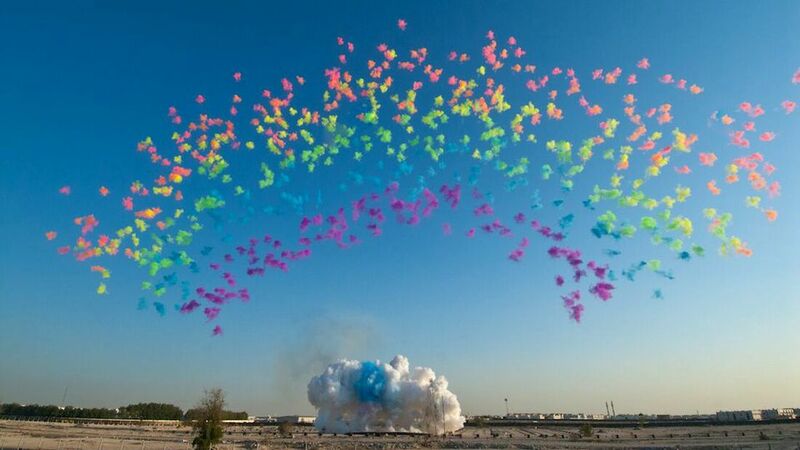 So who is Cai Guo-Qiang? He is the 50 plus year old contemporary artist from Quanzhou, Fujian, China. Sky Ladder has been his passionate project, which has been impossible and failed more than two times. The concept is to connect Mother Earth to Sky Heaven. Does Cai achieve it? You will find out in the documentary. Cai gained fame and found his calling when he started to use fireworks on a canvas to create art. He has gone on to earn accolades that you will see from New York to the Beijing Olympics fame. Kevin flows easily through Cai’s life and actually the stunning visuals that are captured leave you breathless. China has been creating art forever but this offering from Kevin to showcase Cai’s work like this will get you to view the entire nation and their passion for art differently. It could be you.